Just about every community college across the country was at the National Council for Marketing & Public Relations (NCMPR) conference, which delivered yet another wealth of information this year in Sin City. Needless to say, a good time was had by all. From a business perspective, our attendance proved to be well worth the price of admission. We met lots of awesome people, made some great business connections, and learned a lot. 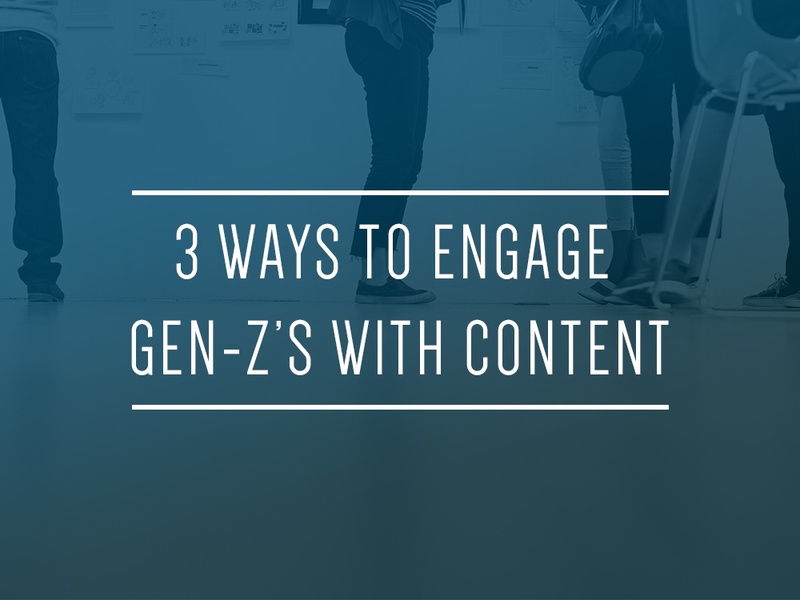 One of the hottest topics buzzing around the conference floor was the need to generate the type of content that Gen Zs actually want to consume – and delivering it across the right platforms. As government agencies, it can be difficult for colleges and universities to customize their messaging with the sort of edginess the new generation has come to expect. But all is not lost … the ability to adapt with changing times is what will separate the winners from the losers in the marketing game. Here are the top 3 ways educational institutes can give Gen Zs the content they want to consume, on the channels they're using most. User-generated content: We touched on this earlier, the fact that universities are bound by government agencies to produce a certain "type" of message to their potential students—messages that do not necessarily speak to the new wave of technologically advanced kids. What's the workaround? User-generated content. We heard a lot of folks talking at NCMPR about taking advantage of all the content that students are producing. 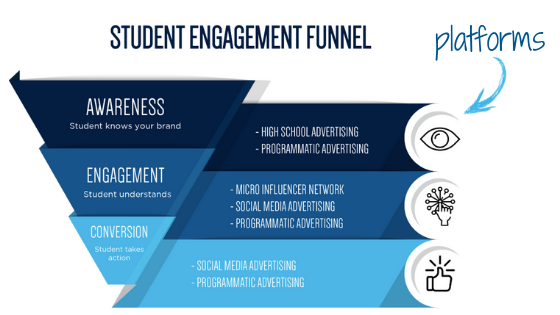 By repurposing that content, and by allowing students to be brand ambassadors, prospective students are better able to connect with the school's brand. They're consuming the message because it's being delivered by the right people via the right channels. Use influence.co or twitter/bloggers at Buzzsumo to find influencers and bloggers who are already creating great content in your topic area of interest. Then repost or repurpose the content. Create top-quality video content quickly using tools like Powtoon. Create engaging quizzes (which are super popular among Gen-Zs) using free builders like Typeform or Playbuzz. Also worth mentioning are tools such as Google News (filtering for things like Education and Schools), Smartbrief, LinkedIn Pulse. Some great video editing tools include: Biteable, Shakr and Viddyad. We get it. There's so much new technology coming out every day, it's difficult for schools to know what's hot, what works and what doesn't. That's where we can help. We’ve got our finger on the pulse of what it takes today to successfully market to tomorrow's post-secondary students. We speak their language. Let us help bridge the gap between "old fashioned" educational marketing, and the new Gen Z audience. Talk to us today. Newer Post What’s the Difference Between Gen Z's and Millennials?